What are the advantages and the risks of investing in real estate? The Law Office of Frank Marciano can advise you regarding options and help you in the sale, lease, or purchase of a real estate investment. There are different types of real estate investments that you can make. In Hudson County, one popular type of investment is buying a pre-construction condominium to flip. This is when an investor buys a condominium early during the construction process and sells it upon completion to make a profit. Typically, a developer will start a project, file with the state all the necessary documents establishing the condo project, and then presell the units to buyers by taking an initial deposit of 10% of the purchase price with the rest due upon the project's completion. Prices are set at market price at the time of contract which was for some people a hundred thousand or more, less then the market price at the time of closing when the project was finished. People literally doubled, and tripled their initial investment. As you can imagine, real estate developers did not like flipping. After a few projects where the flippers were making more profit per unit, developers began putting clauses in their contracts prohibiting the resell of a unit for one year and included a contractual obligation for them to actually reside in the unit. While the validity of these terms has not yet been actually tested, they effectively became a moot point with the recent downturn of the market. This kind of investment is essentially a gamble, and either a buyer is lucky or not. The people who got caught in the market downturn are now obligated to buy units at a price equal to or below the market, which makes for some very hard choices. Whatever your position may be, the Law Office of Frank Marciano can help you with either an existing investment or a new one. 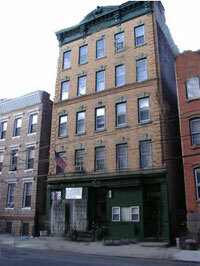 A more commonly known investment property is the multi-unit residential building. There are two kinds of investment strategies with this kind of property. The first strategy is to buy a building that produces positive cash flow. The second strategy is to buy a building and convert it into condos. There are many issues and laws that can quickly turn these investments into nightmares. For instance rent control laws can cause unexpected decreases in income when the difference in price between registered rents (which are filed by the landlord) and certified rents (which are calculated by the rent control office) in are not in sync. For various reasons—none of them good—a landlord can register rents with the rent control board every year unknowingly still overcharge the tenants. This could happen when tenant requests a rent certification from the rent control office. The law states that the rent control office cannot rely upon the registered rents and must calculate the current legal rent from the first registered rent on record. So if the first registered rent was $125 in 1978 and the past owners of the property did not register the three-year, 25% rent decontrol increases for new tenants, the certified rent can be substantially lower than the rent that is currently registered. In this case, the tenant is entitled to a credit for overpaid rent with either a straight payment or continual credits of the monthly rent against the amount due. The Law Office of Frank Marciano has represented both sides in these situations and judgments of more than $20,000 are not uncommon. Does it sound confusing? Well it is. Other issues to be aware of are the rights of disabled tenant and elderly tenants—they have a 40-year protection against eviction for condo conversion—and the rights of tenants to not be evicted except for fair cause, pursuant to the fair cause for eviction act NJSA 2a:18-61.1. We have represented many clients in the purchase of an investment property, and our extensive experience allows us to protect your interests. To set up a consultation concerning any closings for investment properties, contact us online or call us at (201) 656-1000.